Les Claypool (Primus, Frog Brigade, Oysterhead) is back at it! With a new album and a new tour that swings into Philadelphia to rock The Tower Theater on Saturday October 1st 2011. This terrific and unique Primus poster was designed by T-Bone & Aljax and printed and produced by ABNRML.com. It is a very special gift from Live Nation and will be presented to Les as a gift. 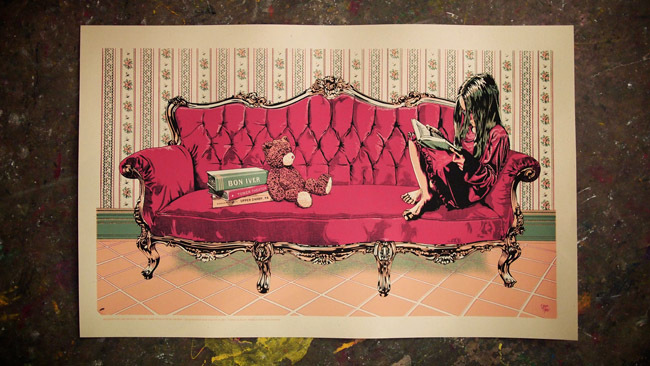 The print is 9.45"X25" on black French Paper cover stock and was not available for sale to the public. A very limited amount of these posters are available from ABNRML.com for a limited time. You can purchase on here. 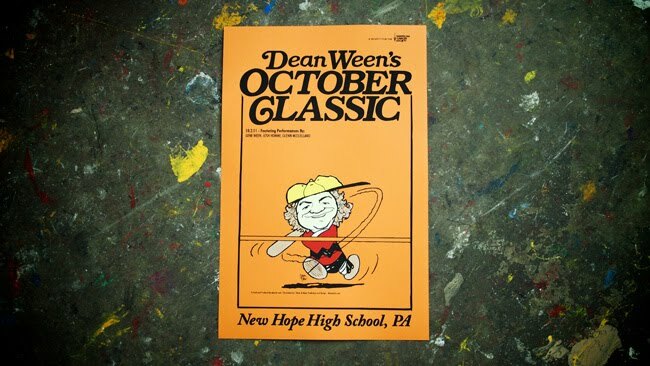 If you are looking for something to do this weekend and are in the Pennsylvania area, swing up to New Hope and see some home runs at Dean Ween's October Classic on October 2nd. Dean (Ween) hosts a charity baseball game in New Hope to benefit the American Cancer Society. It features an opening anthem by Gene and a host of other music buddies pitching in throughout the event. It is a delightful 4-color print screened on orange 12.5"X19" French Paper cover stock. Designed by T-Bone & Aljax and printed & produced by ABNRML.com. We were very happy to donate these along with the twins to Dean for his event. A small handful are available on ABNRML.com here. Proceeds will be donated to the American Cancer Society. A very limited number of these were produced. We are very excited to show off these prints! 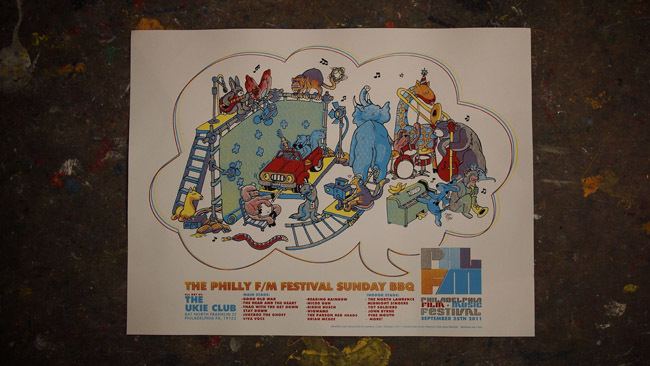 ABNRML partnered up with the Philadelphia Film & Music (FM) Festival to produce the posters and t-shirts for the festival. Two posters were designed by T-Bone & Aljax and printed and produced by ABNRML.com. Both were printed on 19"X25" French Paper cover stock and will be available, along with the t-shirt, at various shows at the Festival. The festival begins on Thursday September 22nd and continues through Sunday the 25th. 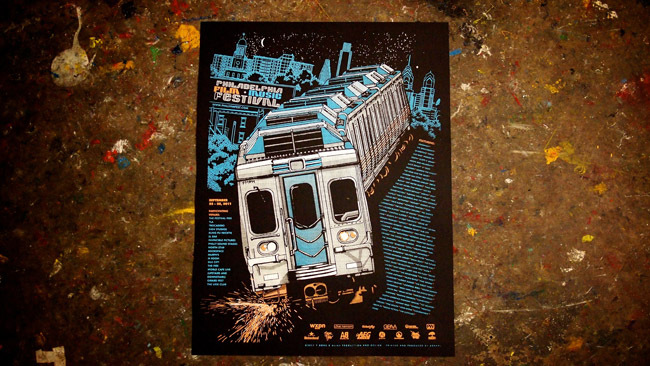 The main FM Fest 'train' print is the main festival poster and the other one is for the Ukie Club shows. Head out to the FM Fest and pick one of these bad boys up! Behold the latest in the black & white Glick poster series! 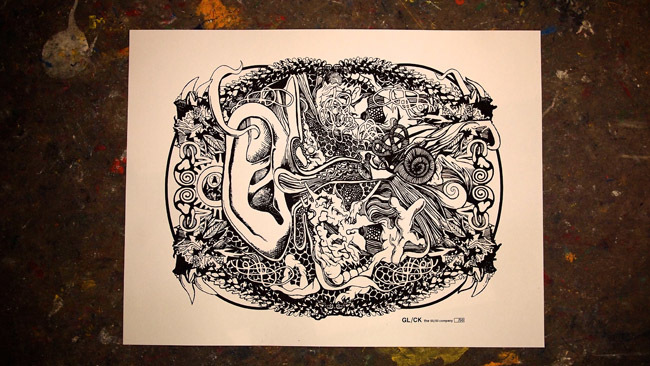 This 'ear' art print was designed by Matt Glick of The 50/50 Company and printed by ABNRML.com. It was printed on white French Paper cover stock. A very limited number of these 1-color 19"X25" will be available from 50/50. 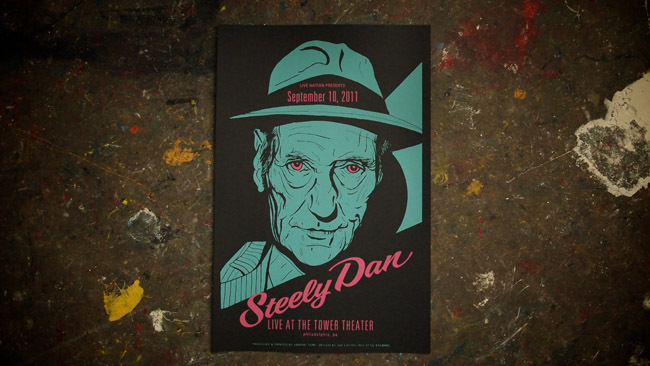 Check out the brand new poster for Steely Dan's performance at The Tower Theater in Upper Darby, PA on 9/10/11. This poster was screened with love and 2-colors on 12.5"X19" black French Paper cover stock. Printed and produced by ABNRML.com and designed by Joe Castro of Red Attic Studios. Commissioned by Live Nation for Steely Dan's performance as a gift for the band. Only a small handful were created. An even smaller handful are available from ABNRML. We think this is one of our top 5 posters ever! This is a extremely limited edition collectors poster for Bon Iver's performance on August 3rd, 2011 at Philadelphia's legendary Tower Theater. Live Nation wanted to do a special print as a gift for Bon Iver after the incredible show so ABNRML commissioned T-Bone & Aljax to do an illustration to blow Iver's mind! This 4-color print is screened with love on 15"X25" hand trimmed cream French Paper cover stock. Only 50 of these amazing posters were printed. A small handful of test prints are available from ABNRML.com. Click here to buy the print!